Click Here to hear our Interview with William. Author of: Horror Novels, Historical Fiction, Poetry, and short stories. 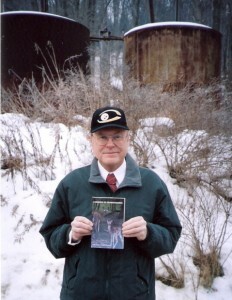 After graduating from college in 1973, William worked in factories, taught high school English, and ran a successful house painting business. His real love, though, was writing, and he began freelancing in 1978. He quickly learned that while only 10% of his general interest stories and poems got accepted by magazines, 80% of his horror writing found its way into print. Also, there was a particularly difficult California editor who inspired him. He kept rejecting story after story, always adding the tease, “This was very close to what I’m looking for.” Soon, Robertson had 20 stories written, that rejected by the California editor, were later published worldwide. One of these tales, “Wide Spot in the Road,” was translated into the Romanian language. William’s work has now appeared in over 500 magazines, e-zines, and anthologies in the U.S., Canada, England, Scotland, Ireland, Wales, Romania, Australia, New Zealand, and Malaysia. 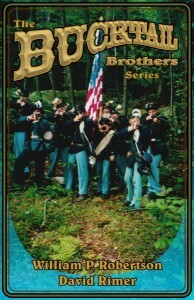 His other writing credits include eleven poetry collections, three audio books, twelve e-books, six volumes of short stories, a Viking novel, two French and Indian War novels, and nine historical fiction novels about the famous Civil War sharpshooters–the Bucktails. LURKING IN PENNSYLVANIA, DARK HAUNTED DAY, TERROR TIME, and THE DEAD OF WINTER. 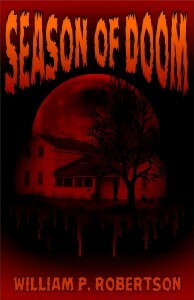 And the newest addition is SEASON OF DOOM.